More people around the world are getting to experience World Climate: A Computer-Simulation-Based Role-Playing Exercise! Here are a couple of recent examples. Mike Goodman ran World Climate as part of a week long systems thinking workshop. 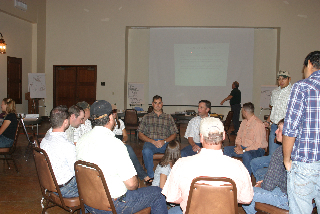 There were about 25 participants who were part of Systems Approach for Natural Resource Problem Solving sponsored by the King Ranch Institute for Ranch Management in Texas. Attendees included wildlife managers, ranch managers, professors, & graduate students (masters & PhDs). 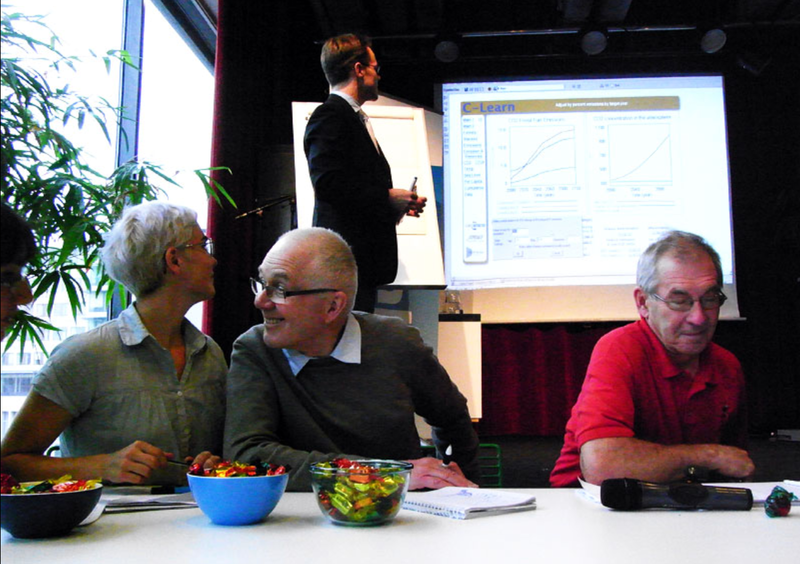 And in Sweden, a group of colleagues, Alexander Crawford and Rebecca Oliver from the Tallberg Foundation, Gustav Engström from the Stockholm Resilience Center and Martin Hedberg, who were trained in World Climate ran a session for about 200 people in Stockholm on October 24th to celebrate the International Day of Climate Action. 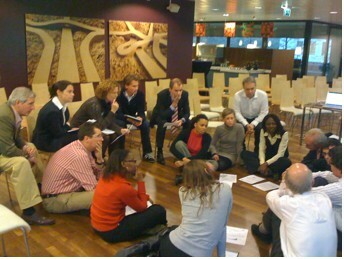 In the Netherlands, Tom Cummings, a co-founding member of the Climate Action Initiative (CAI) and Chairman of Executive Learning Partnership, delivered the climate policy exercise as part of an initiative by FMO, the Dutch Development bank. After two rounds of heated debates as country negotiators representing developed, rapidly developing, and least-developed countries the participants put aside their simulation roles and drew implications from what they experienced in the simulation to what it means for FMO, their role, and their lives. Note: We used to call this serious game or policy exercise The Copenhagen Climate Exercise….